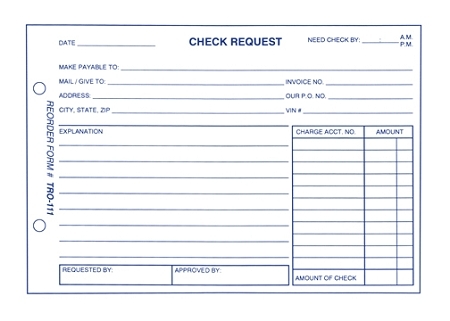 A great form for having a record of who requested and approved a check to be issued. Size is 8-1/2" x 5-1/2". 1 part 20# White paper. Prints in Blue ink. 2 file holes on left. Packaged 100 per pad.